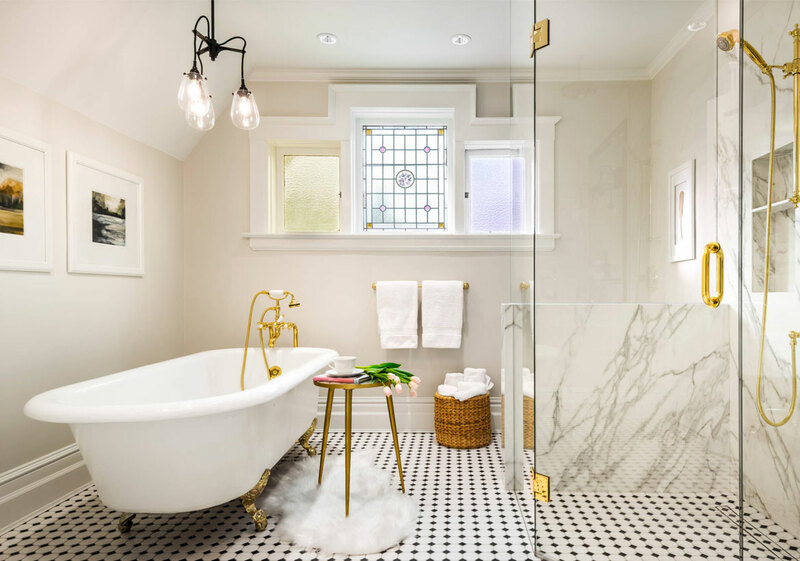 Here are ten bathroom designs trending in 2019 to give you some inspiration for your next bathroom remodel. 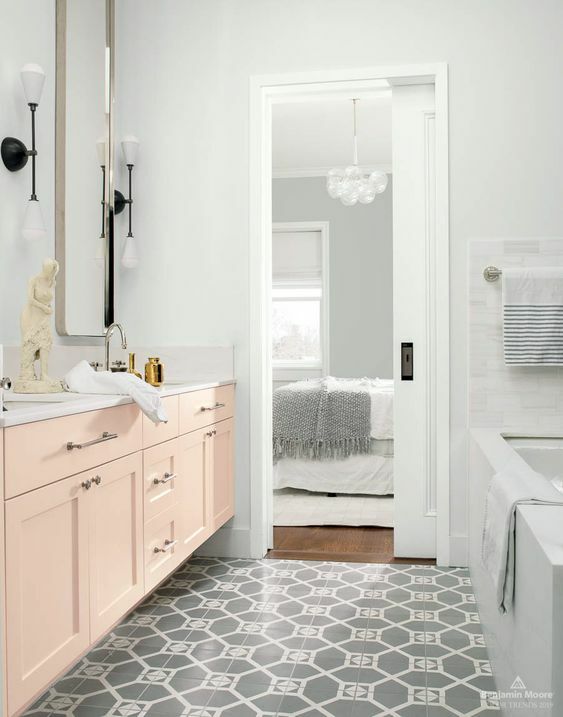 This includes vanities, sinks, showers, textures, patterns and finishes to help you build or renovate your next bathroom and get that luxurious spa feeling so you can simply relax at home. Gray may soon be passed over for the bolder, darker, classic style of black. Stay with stylish gray if you love it, but watch out for black. 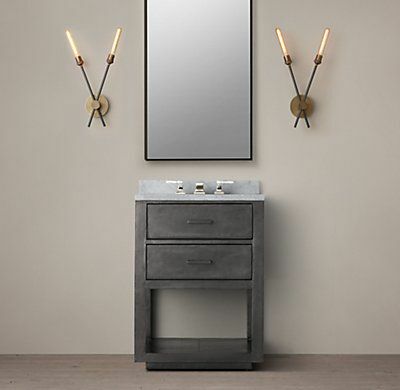 This is mostly in fixtures and hardware like mirrors, lighting and even vanities, predominately using soft matte finishes. 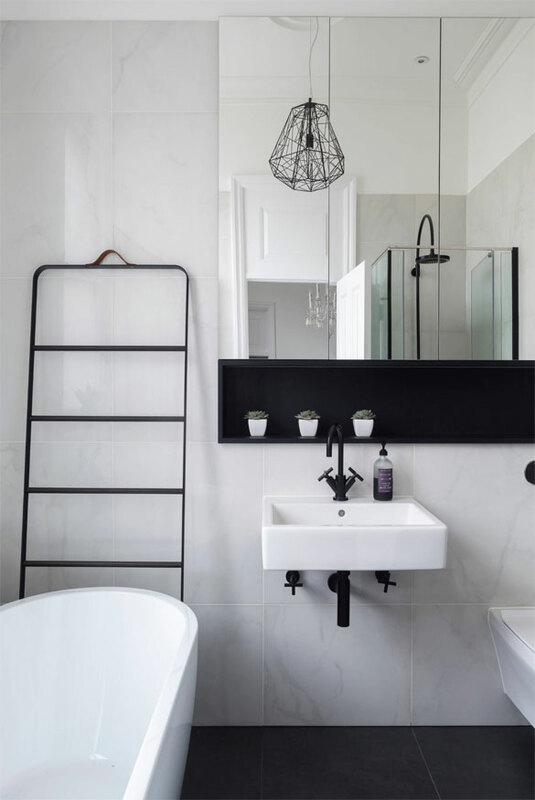 Black is not for everyone, and if you prefer to be conservative stay with gray for classic white or neutral colors for your bathroom designs. Bathrooms are becoming smarter with high-tech upgrades. There are seat warmers, adjustable air dryers, automatic lid openers, and built-in deodorizers. 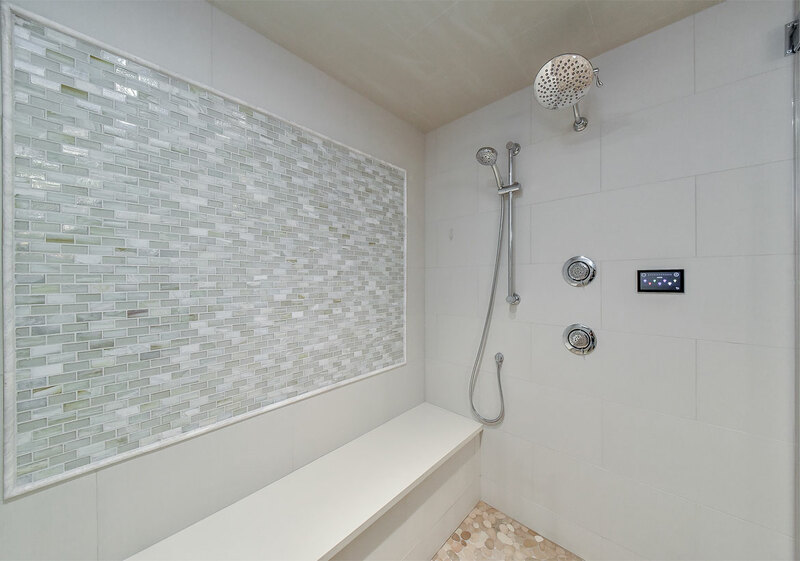 While not exactly necessities, items like smart showers and built-in blue tooth speaker systems are getting traction. Voice activated features for lighting and temperature control, smart mirrors that talk back, and TV installments are also trending to give a luxurious spa experience. 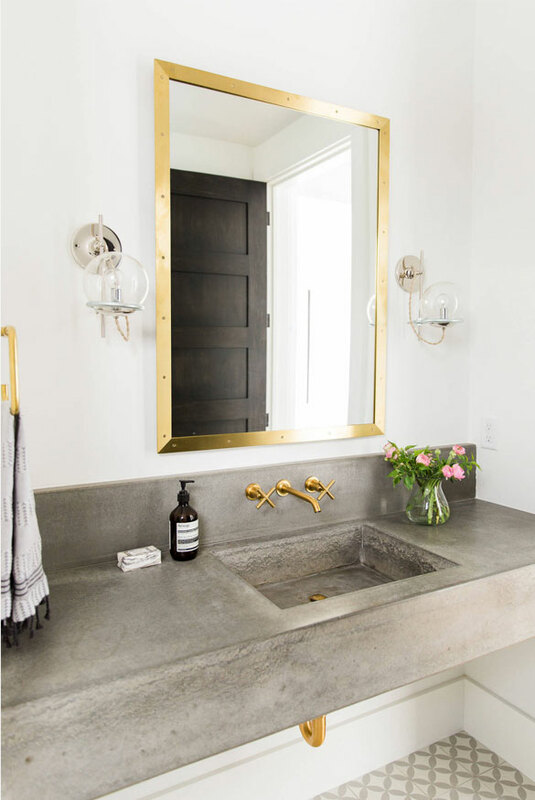 With farmhouse style being popular, brass and gold fixtures are to be found everywhere in the latest bathroom designs. The new era of gold and brass are warm toned, rich and luxurious in silk and matte finishes and not cool, sleek and modern like polished chrome. Add them using lighting fixtures, mirrors, faucets and railing. These latest fixtures will not rust, show water marks or fingerprints like previous models, dramatically reducing cleaning and that tired look gold and brass can get. 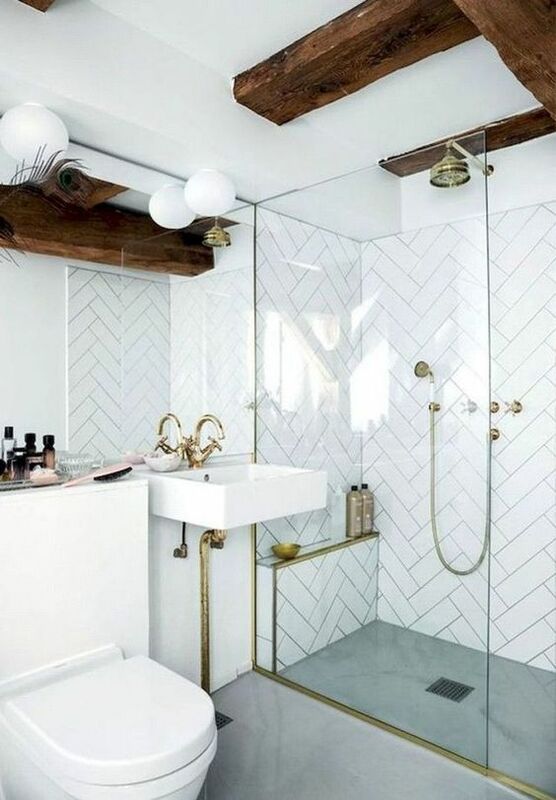 Lovers of everything industrial will be pleased, industrial is trending high, so expect to see more of it in bathroom designs this year. 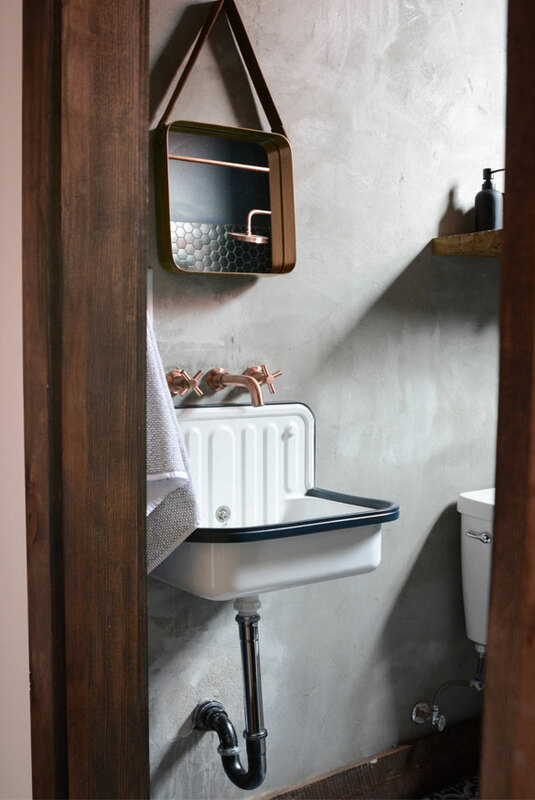 The industrial vanity is sleek and modern and is an edgy remodeling trend. 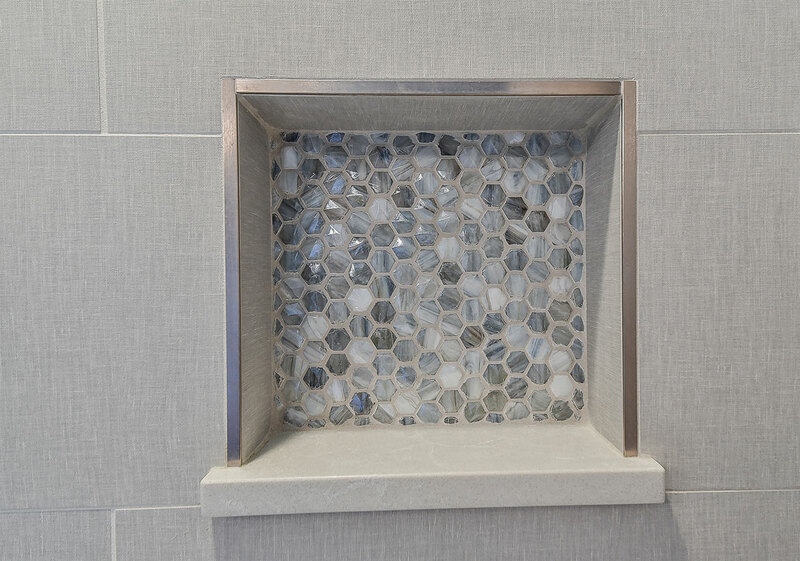 They work well in hall or guest bathrooms and smaller bathrooms in apartments. They are being seen with pops of color, black, brass and gold. Tiles are becoming interesting. 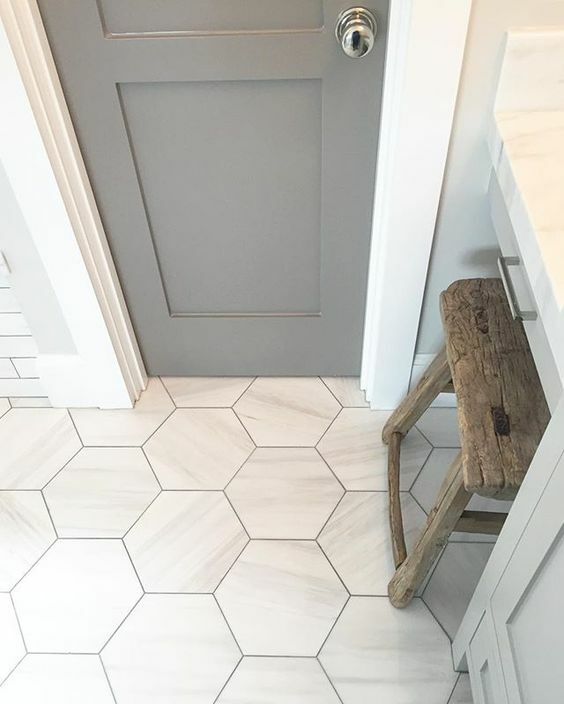 There is a clever blending of old style tiles with new shapes and designs. 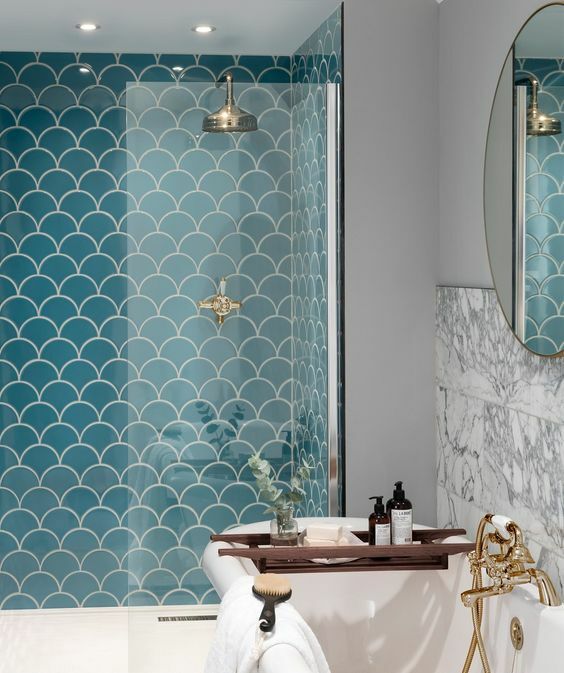 The new styles include diamond, hexagon or honeycomb, arabesque, chevron and Moroccan fish scales with interesting colors and textures to use on floor, walls or showers as accents. 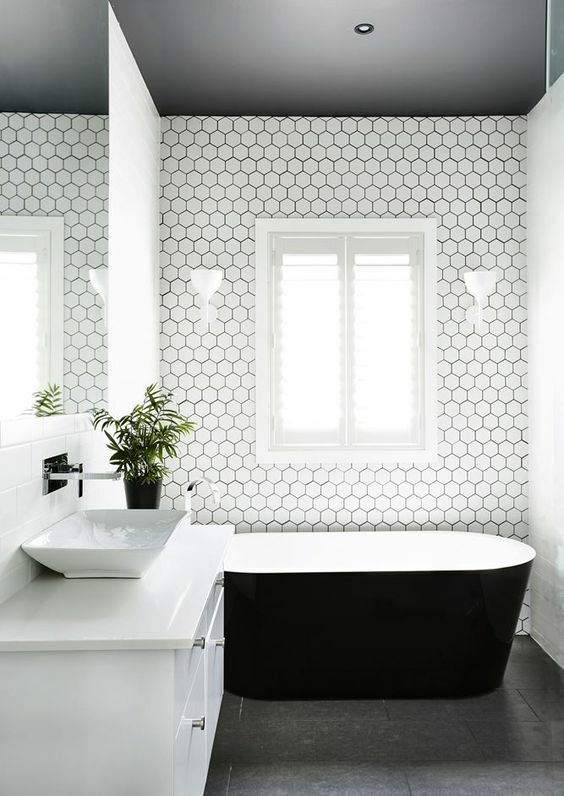 This is an easy trend to bring your bathroom designs up to date. 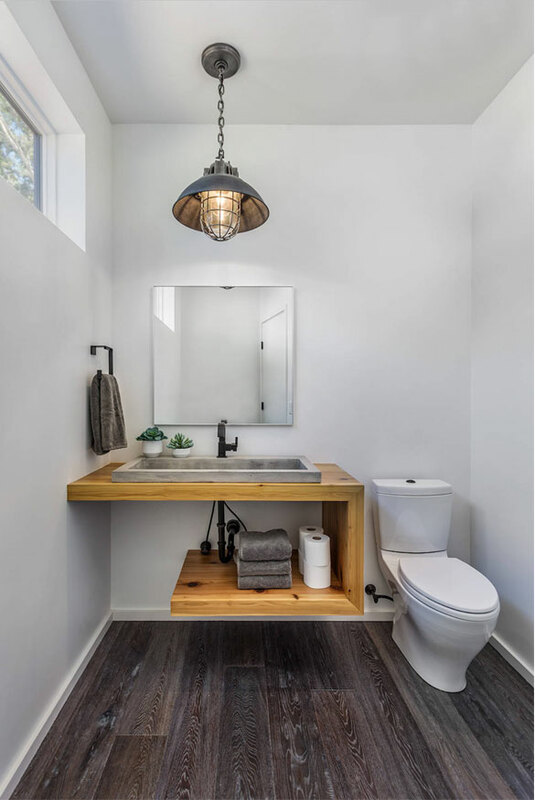 With warmer tones and accents becoming more popular, warm woods are being used because they work well with many other hues like white, green, whites and grays. Choose simple wood pieces that work easily with classical, industrial, traditional or modern style. Storage is making a comeback with clever shelves and cabinets for minimalist households. With 2019 being the year of calm, organized storage is designed to lead to less stress. The aim is to appear less cluttered, to keep the bathroom feeling open, organized and the perfect place to relax. 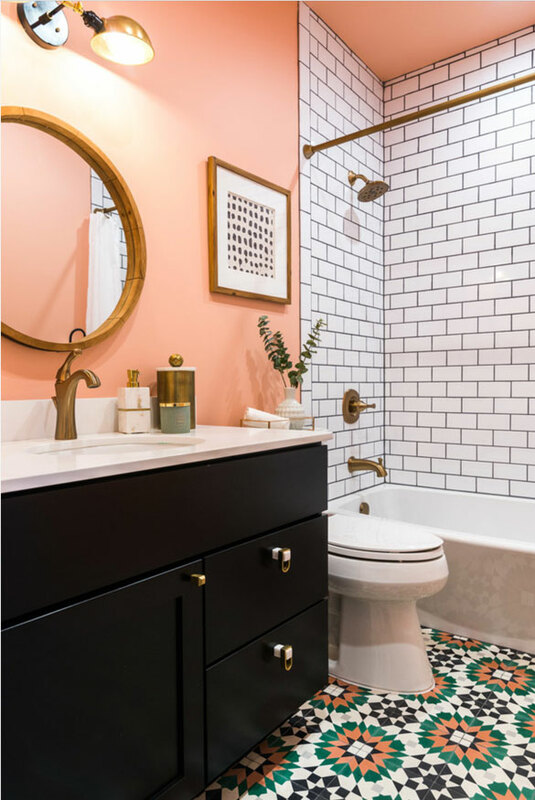 Blush will continue to be one of the most popular wall color choices for bathroom walls with rose gold found in pulls, faucets and even bathtub details. Bathrooms are getting bigger. More space, less things but bigger things that double up as beautiful features. Relaxing in a big bathtub is the latest symbol for luxury, space and relaxation. 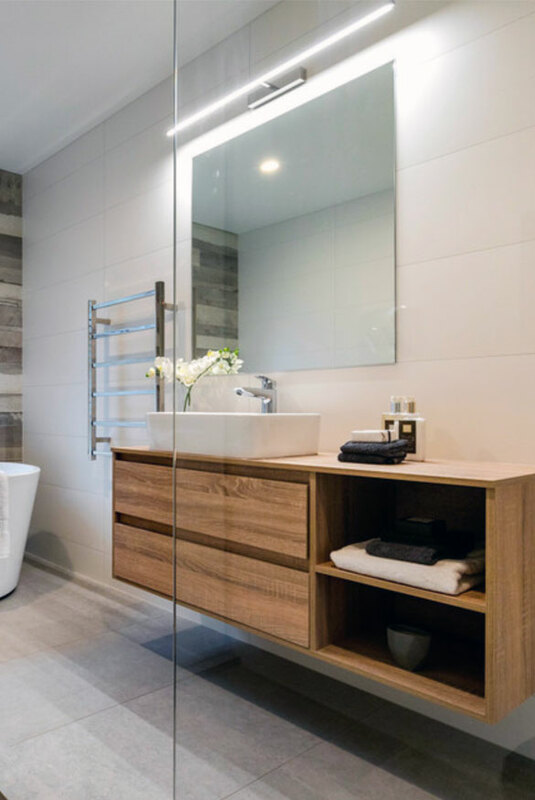 The spa styled bathroom is popular as everyone appreciates, more and more, the value of relaxing in your own home, making time to relax and setting up zones in your home designed to help you relax. The bathtub is the perfect place to practice what you preach. 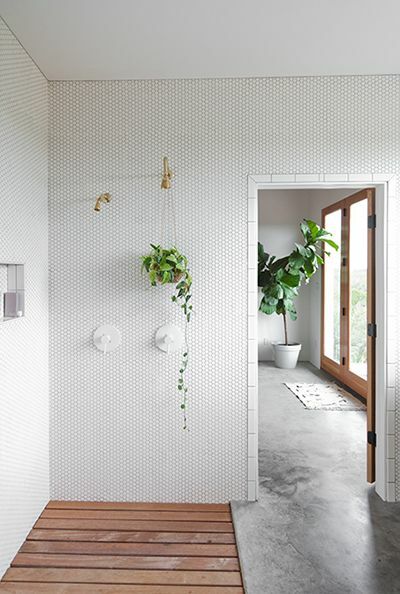 Open showers have become popular because they make your bathroom appear bigger. 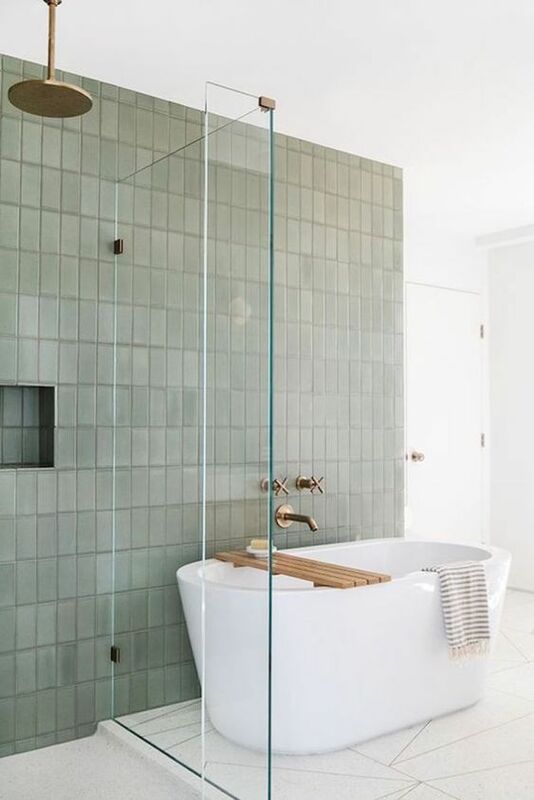 They also increase shower space, making time spent in the shower more convenient and relaxing although you could lose your privacy, which means it probably won't work for every household. Under floor heating is becoming more popular and can work with tile, vinyl, concrete and wood floors. Heating systems provide heat, reduce noise levels and allergic reactions to dust. 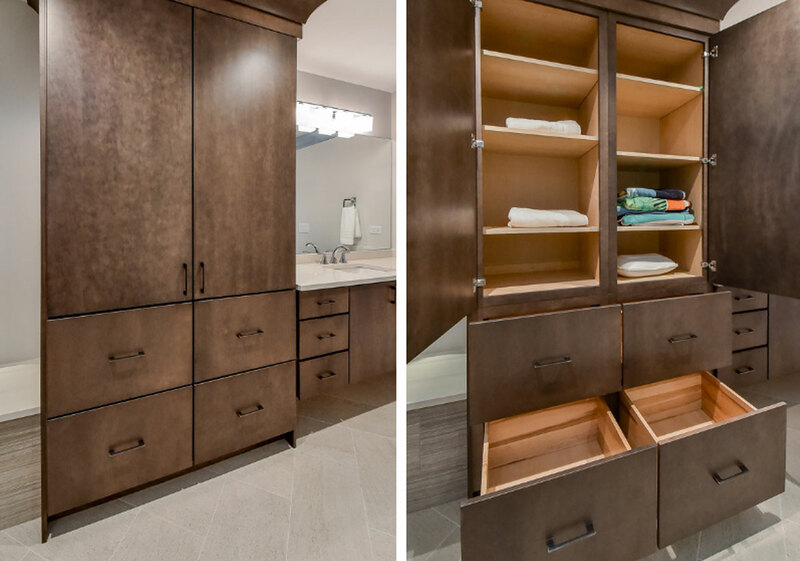 Some bathroom designs even have warming drawers for linens or robes.